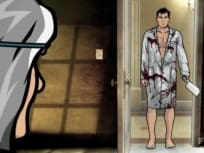 The identity of Archer's father is called into question on the season finale of Archer. 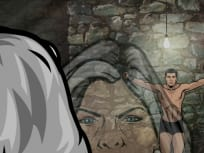 Archer takes a high paying job from competitor ODIN, while Malory tries to get him back to ISIS. When ISIS loses another contract to ODIN, Malory tasks Lana and Archer with stealing a diamond from one of their clients. Archer and the ISIS crew must protect the maiden voyage of the luxury airship, Excelsior, from a bomb threat. When Malory is being blackmailed by a homosexual Cuban agent, she sends Stirling down to Miami to seduce him. Malory hosts a dinner party to try and win a contract from UN chairman, Torvald Utne (Jeffrey Tambor). When ISIS hires Conway Stern (Coby Bell) as a diversity hire, the ladies of ISIS love him, but Lana and Archer suspect there's something more. 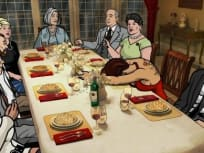 When Malory fears that Lana's attraction to Archer will lead them back together, she tries to turn Lana's current boyfriend, Cyril, into an agent. 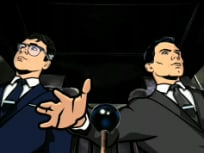 When Malory has ISIS look into Archer's expense account, he attempts to hack into the mainframe to fix his problem in the name of a mole hunt.